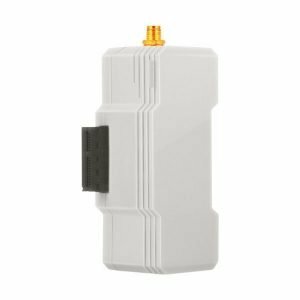 VERAEDGE: THE “BRAINS” BEHIND YOUR SMART HOME OR BUSINESS! 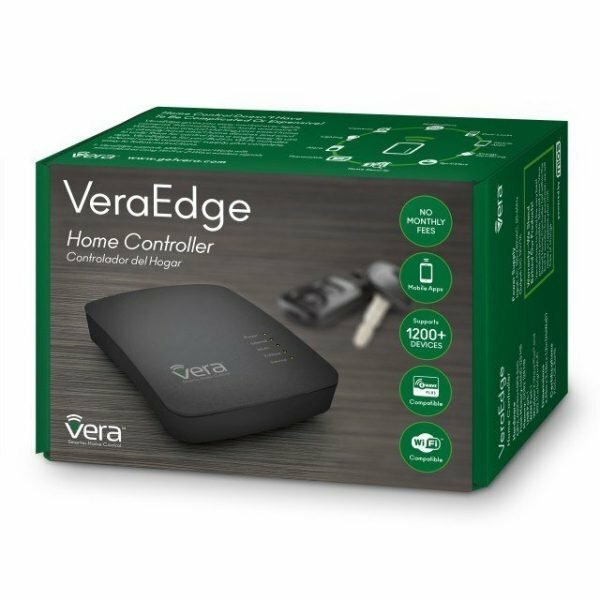 If you are shopping for a controller and comparing specs, you’ll find VeraEdge is so far ahead of competitors, it excels in every department. Simply put, you can’t go wrong with VeraEdge! View and control your system from anywhere in the world (where there’s Internet.). 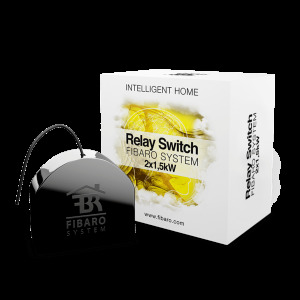 Or enjoy local control in your home or office, without any issues of latency, even when the Internet is down. Geofencing—the system can know who is arriving/leaving based on cell phone location, so for example, your thermostat can change automatically as you drive close to home. 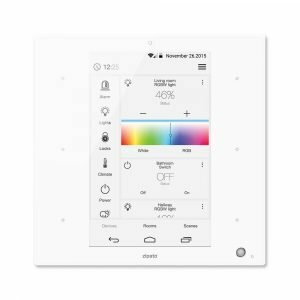 Advanced occupancy sensing, push notifications, and creation of custom automation scenes where one device triggers another—or use time of day, sunrise/sunset, or other triggers to control lights, door locks, thermostats, etc. VeraEdge features improved access control with simple PIN management—give everyone in your household (or small business) their own codes for locks and system access. 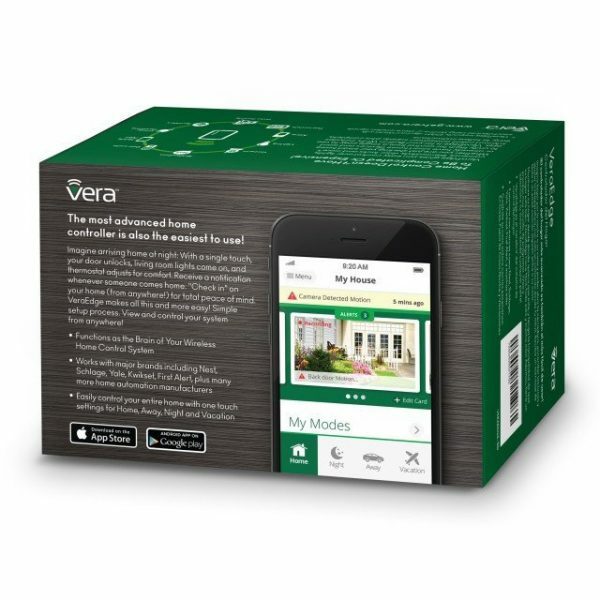 VeraEdge is equipped with the powerful Vera UI7 app, the easiest and most powerful home control and automation software anywhere. You’ll be guided through every step of the setup and installation process, not just at the beginning but also as your system expands to include more devices. Whether you’re starting to build your first home automation system, or are a seasoned pro, VeraEdge is the controller for you. With the VeraEdge Controller, all your smart home and security and safety devices work together, and are controlled from a single easy app. Advanced capabilities include custom scene creation. Ultimate ease of use includes one-touch control of all the devices in your system. If you think your home (or small business) needs some kind of special wiring or preparation to become a smart home, you’re mistaken. With VeraEdge ANY home or small business can be automated, and you’re ready to start right now. 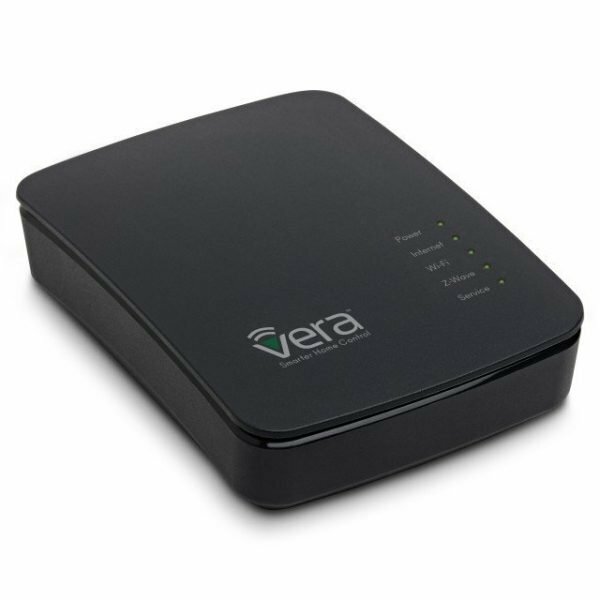 VeraEdge uses wireless communications to “talk” with devices like door locks, sensors, thermostats, dimmers, etc. There are no wires connecting these devices to the controller. All you need to get started is a VeraEdge Controller and one or more devices to control. Plus VeraEdge offers you state-of-the art capabilities that frankly, the “big guys” have a hard time keeping up with. With periodic firmware updates—all completely free—your VeraEdge will keep getting even more advanced. 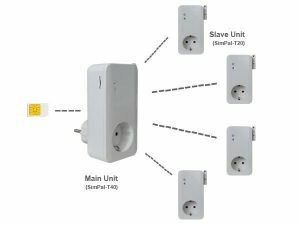 Some of the newest features include geo-fencing to automatically sense when you are arriving or leaving, push notifications on smartphones, and automated Wi-Fi setup with WPS button convenience. VeraEdge also lets you have it your way, by mixing and matching manufacturers. You’re not limited to just one brand of door lock or camera or thermostat. 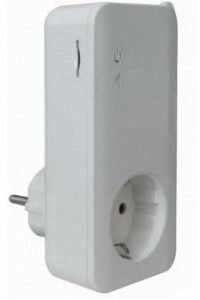 VeraEdge is compatible with most brands of home automation devices using Wi-Fi communications, and offers guaranteed compatibility with all Z-Wave devices. Imagine locking the doors, turning off the lights, activating the alarm system, and changing the thermostat for bedtime all with one touch. That’s just the beginning of what VeraEdge can do. The new seventh-generation Vera UI7 Dashboard and mobile apps for iOS and Android make it easy.